The Capital Region Minority Supplier Development Council announced that Yolonda Higdon, principal/owner of HH Logistics Planning, was named a 2017 Top 100 MBE winner, according to a press release. This award recognizes owners of minority business enterprises in Maryland, Virginia and the District of Columbia who have demonstrated exceptional entrepreneurial accomplishments, a high level of professionalism and have made substantial contributions to their community. The Top 100 MBE Awards began in 2007 and evolved through a need to recognize and celebrate the creativity and innovation of regional MBEs who are role models and inspire the entire community, according to the release. 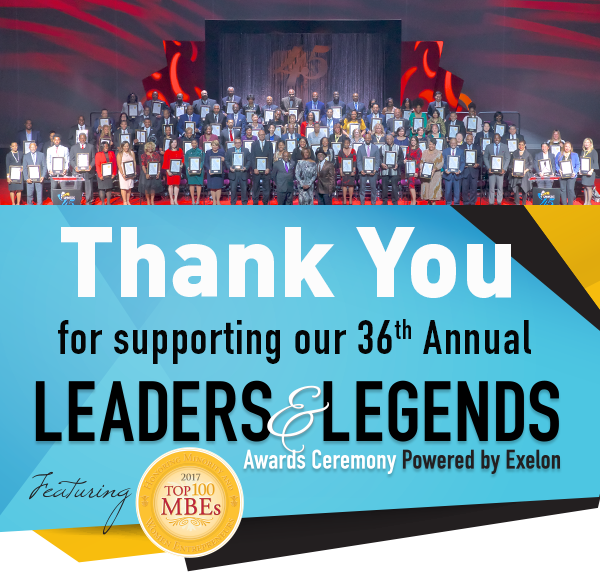 The awards will be presented at the CRMSDC’s 36th Annual Leaders and Legends Awards Ceremony on Nov. 2 at the MGM National Harbor. “Our board of directors and our members congratulate the 2017 Top 100 MBEs on their stellar accomplishments,” Sharon R. Pinder, CRMSDC’s president and CEO, said in the release. CRMSDC is celebrating its 45th anniversary as a not-for-profit economic development organization supporting growth in Maryland, the District of Columbia, and Northern Virginia through programs and services that help corporations enhance the diversity and innovation of their supply chains. CRMSDC connects corporate and government members to well established, certified minority-owned business enterprises, according to the release. This is accomplished through a rigorous process of certifying that MBE suppliers are at least 51 percent owned, controlled and operated by ethnic minorities; providing education and advice to certified businesses; and finally, creating strategic opportunities for corporate members and certified MBEs to connect for the purpose of doing business, according to the release. CRMSDC, established in 1972, is one of 23 regional affiliates of the National Minority Supplier Development Council, the only nationally recognized MBE certifying authority. CRMSDC is headquartered in Silver Spring. CRMSDC also operates two programs funded by the U.S. Department of Commerce’s Minority Business Development Agency (MBDA) grants: (1) The MBDA Business Center, Washington, D.C., helps minority-owned firms create jobs, compete in the global economy and grow their businesses, and (2) The Federal Procurement Center which is the nation’s only federally-funded program solely dedicated to assisting MBEs in obtaining Federal contracts. Together these three organization form the CRMSDC MBE Business Consortium, the largest provider of MBE support services in the region, according to the release. “It is an honor and a pleasure to be recognized. This lets me know that the hard work does pay off,” Higdon said in the release.